Saluting Innovation at TrackingPoint for developing the world’s first ever “smart rifle”. Entrepreneur and high-speed Internet pioneer, John McHale, has introduced a rifle so accurate the least-experienced shooter could hit a bull’s-eye 1,000 yards away. Inspired by missing a shot on a hunting trip in Africa, McHale enlisted the help of electrical and mechanical engineers, industrial designers and mobile application makers to design precision-guided firearms with “fighter jet technology”. This is essentially a track-and-tag system that allows the shooter to lock the scope onto a target. His association resulted in the creation of a gun with so much precision it gives a first-time shooter a higher first-shot success rate than a trained military sharpshooter. Since TrackingPoint’s model introduction last spring there is already a nine-month long waiting list. 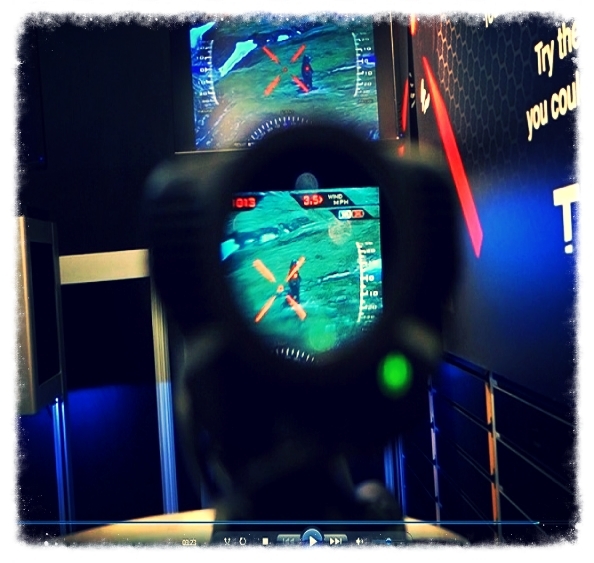 We salute TrackingPoint for this innovation allowing a whole new population to shoot with skill.